Even us Brits understand that there are Ford guys, and there are Chevy guys. 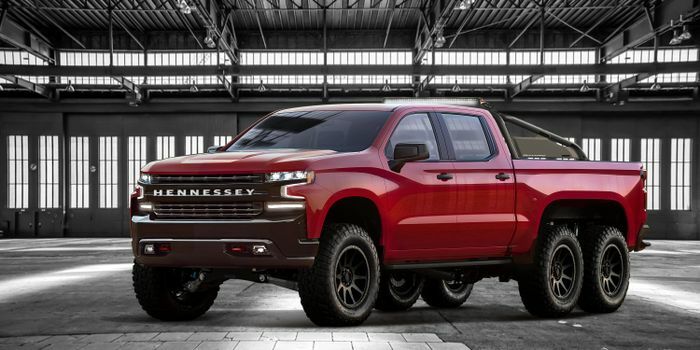 The rivalry is a huge deal out in the US, so anyone in the latter camp probably won’t have been too bothered when Hennessey revealed its F-150-based Velociraptor 6x6. Now, though, lovers of Chevrolet pickups have their own 6x6 option from the Texan tuners. 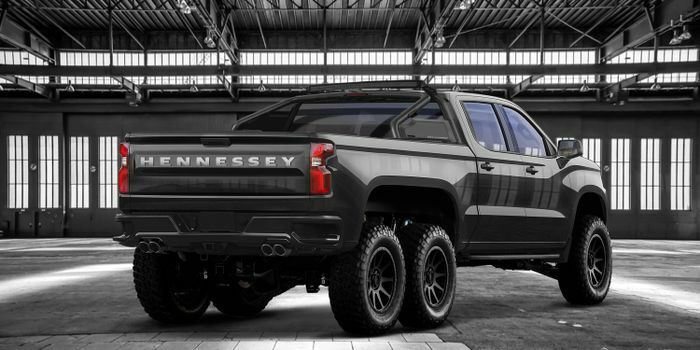 It’s based on a Silverado, and it’s called the ‘Goliath 6x6’. What, you were expecting a subtle name? 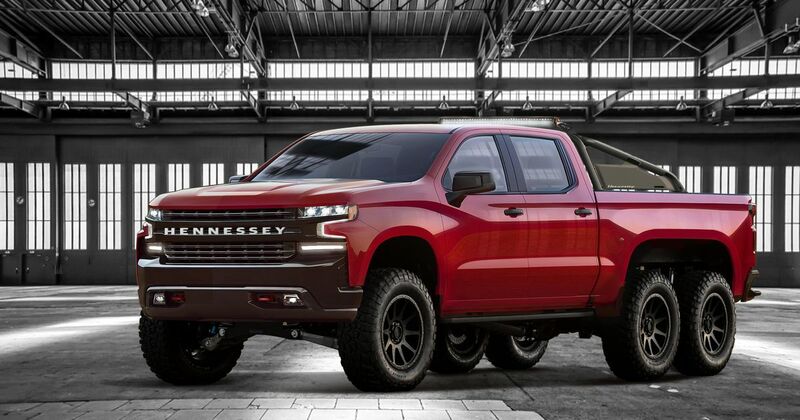 Despite the inevitably substantial weight gain from elongating the truck bed and adding an additional axle (Hennessey hasn’t given an exact figure), it’s still pretty quick. 0-60mph is done and dusted in the “mid-four-second range,” thanks to what the firm has been up to under the bonnet. The 6.2-litre V8 has been treated to an ‘HPE700’ upgrade, which is built around a 2.9-litre supercharger running 7psi of boost. This bumps the power to 705bhp, and the torque to 675lb ft. It should sound rather naughty, too, thanks to the fitting of a new stainless steel exhaust. The suspension has been lifted by eight inches, and the 20-inch Hennessey-designed wheels are wrapped in chunky 37-inch BF Goodrich off-road tyres. The roll bar is new, as are the LED lights. 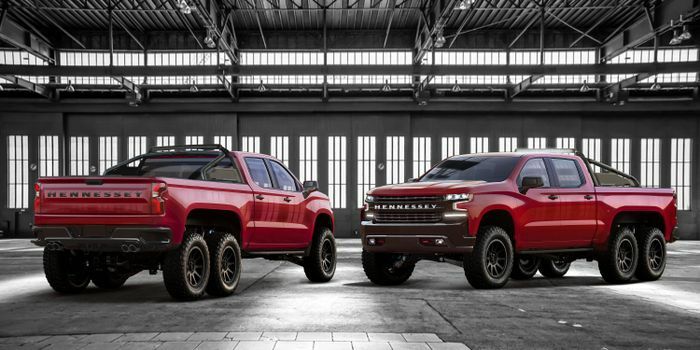 At $375,000 (including a stock Silverado ‘donor’ truck) it’s slightly more expensive than the Velociraptor 6x6, and it’ll be made in smaller numbers. While the Ford was given a run of 50, Hennessey will only be making 24 of these beasts.